This paper investigates the problem of modeling Internet images and associated text or tags for tasks such as image-to-image search, tag-to-image search, and image-to-tag search (image annotation). We start with canonical correlation analysis (CCA), a popular and successful approach for mapping visual and textual features to the same latent space, and incorporate a third view capturing high-level image semantics, represented either by a single category or multiple non-mutually-exclusive concepts. We present two ways to train the three-view embedding: supervised, with the third view coming from ground-truth labels or search keywords; and unsupervised, with semantic themes automatically obtained by clustering the tags. 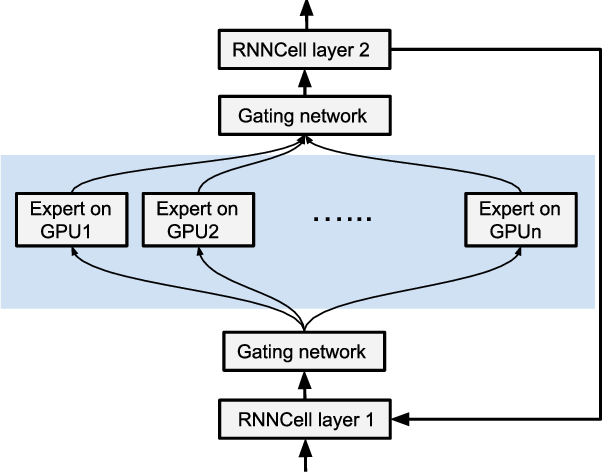 To ensure high accuracy for retrieval tasks while keeping the learning process scalable, we combine multiple strong visual features and use explicit nonlinear kernel mappings to efficiently approximate kernel CCA. To perform retrieval, we use a specially designed similarity function in the embedded space, which substantially outperforms the Euclidean distance. The resulting system produces compelling qualitative results and outperforms a number of two-view baselines on retrieval tasks on three large-scale Internet image datasets. Many recent machine learning models rely on fine-grained dynamic control flow for training and inference. In particular, models based on recurrent neural networks and on reinforcement learning depend on recurrence relations, data-dependent conditional execution, and other features that call for dynamic control flow. These applications benefit from the ability to make rapid control-flow decisions across a set of computing devices in a distributed system. For performance, scalability, and expressiveness, a machine learning system must support dynamic control flow in distributed and heterogeneous environments. 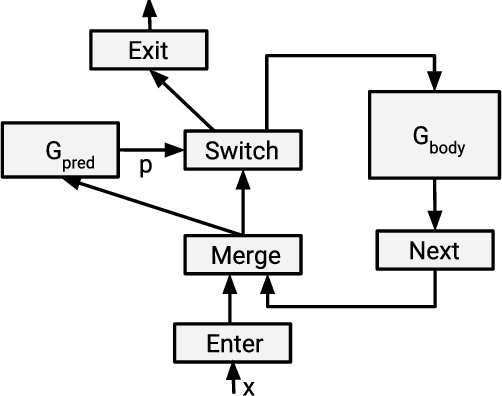 This paper presents a programming model for distributed machine learning that supports dynamic control flow. We describe the design of the programming model, and its implementation in TensorFlow, a distributed machine learning system. Our approach extends the use of dataflow graphs to represent machine learning models, offering several distinctive features. 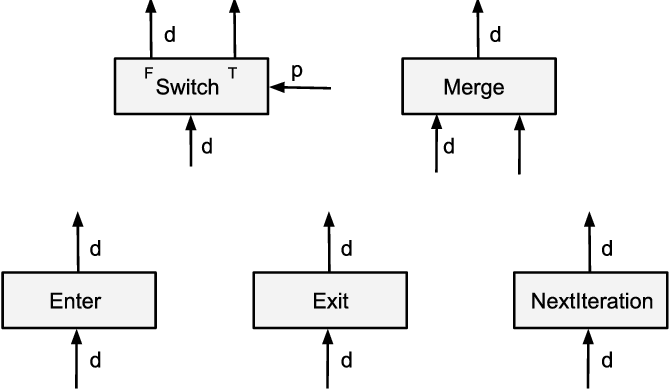 First, the branches of conditionals and bodies of loops can be partitioned across many machines to run on a set of heterogeneous devices, including CPUs, GPUs, and custom ASICs. Second, programs written in our model support automatic differentiation and distributed gradient computations, which are necessary for training machine learning models that use control flow. 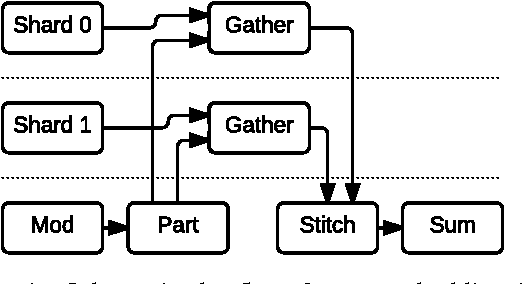 Third, our choice of non-strict semantics enables multiple loop iterations to execute in parallel across machines, and to overlap compute and I/O operations. We have done our work in the context of TensorFlow, and it has been used extensively in research and production. We evaluate it using several real-world applications, and demonstrate its performance and scalability. TensorFlow is an interface for expressing machine learning algorithms, and an implementation for executing such algorithms. A computation expressed using TensorFlow can be executed with little or no change on a wide variety of heterogeneous systems, ranging from mobile devices such as phones and tablets up to large-scale distributed systems of hundreds of machines and thousands of computational devices such as GPU cards. 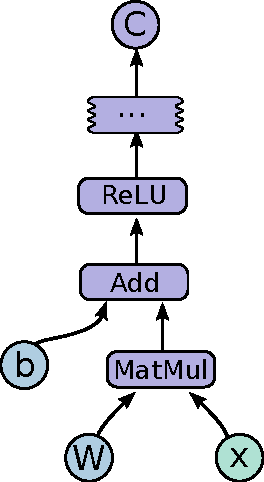 The system is flexible and can be used to express a wide variety of algorithms, including training and inference algorithms for deep neural network models, and it has been used for conducting research and for deploying machine learning systems into production across more than a dozen areas of computer science and other fields, including speech recognition, computer vision, robotics, information retrieval, natural language processing, geographic information extraction, and computational drug discovery. This paper describes the TensorFlow interface and an implementation of that interface that we have built at Google. The TensorFlow API and a reference implementation were released as an open-source package under the Apache 2.0 license in November, 2015 and are available at www.tensorflow.org.